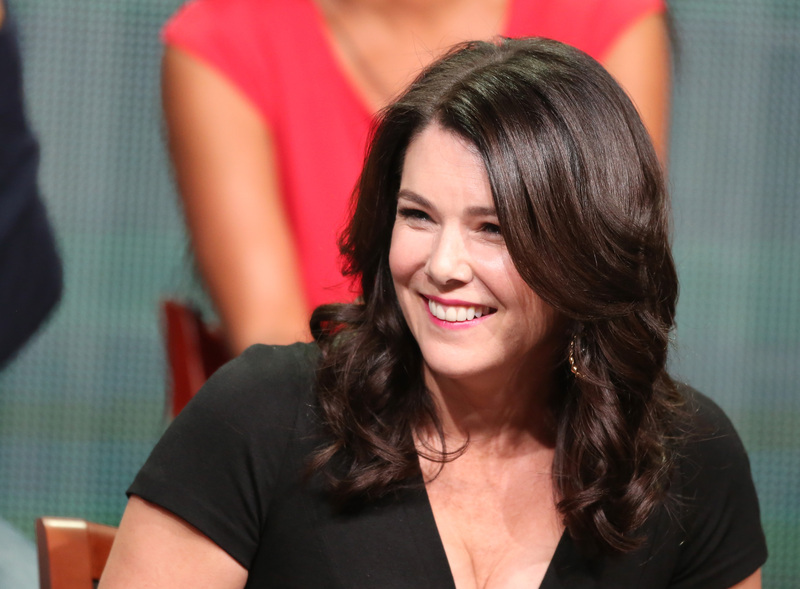 Lauren Graham has voted, everyone, and it appears that she's with her. Graham, aka everyone's favorite TV mom, Lorelai Gilmore, shared her vote on Twitter on Tuesday, declaring that she cast her vote for the Democratic nominee. "I voted for @HillaryClinton today," Graham wrote along with a photo of Clinton posing with the actor's boyfriend and Parenthood co-star Peter Krause. "#imwithher," she added, "#andalsowithhim." Graham's Election Day tweet isn't just great because of the photo, but because the pro-Hillary photo would certainly make Lorelai Gilmore proud. Graham's tweet almost feels like it could have been written by Lorelai herself (just replace Krause with Luke). Gilmore Girls was always feminist, and, like Graham herself, Lorelai was never shy of declaring support for Clinton. In Season 3's "Application Anxiety," which aired in 2002, Rory Gilmore gushed over the then-New York Senator. "She's so smart and tough and nobody thought she could win New York, but she did, and she's doing amazing," Rory said. A few years later, in a scene from Season 5's "A Messenger, Nothing More," Lorelai mentioned Clinton's presidential future, signing off from a phone call with, "See you when Hillary's president!" Putting aside the foreshadowing nature of this statement, it's clear that, if Lorelai and Rory could vote in this election, they wouldn't be voting for Hillary as a lesser of two evils — they'd be celebrating voting for a candidate they loved, and badgering everyone in Stars Hollow to do the same. I think it's safe to say that Graham's pro-Hillary vote would have made Lorelai fiercely happy. In fact, I think almost every Gilmore Girls character would be Team Hillary this election. Hell, Paris Geller probably will be Hillary Clinton in the future — can't you just imagine?